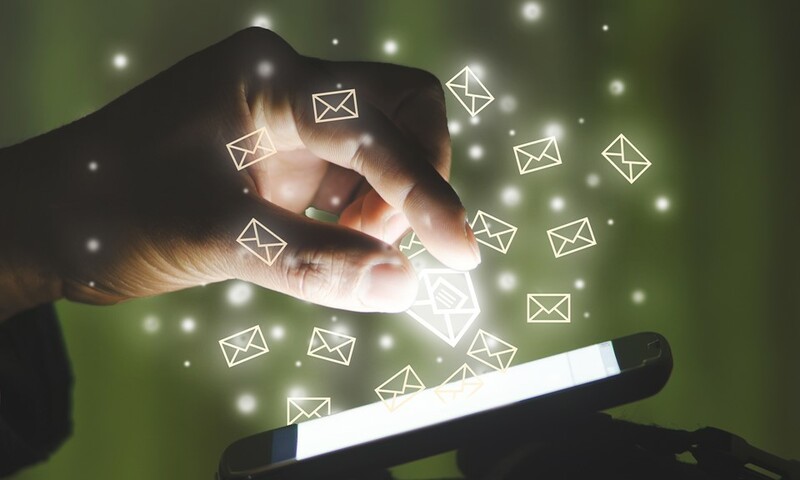 Email is a crucial marketing channel for just about every big brand out there, and there are multiple ways it can help your burgeoning cannabis business. The benefits are numerous — you can easily target, time, and control email delivery while your consumers can control when they open and read your email. Personalization, customization, and audience segmentation are achievable realities that drive amazing results. Email also mimics a mode of message delivery that has been around since cuneiform was hot and, at this point, it has too many applications to be easily replaced. Because cannabis companies are often limited by the lack of marketing and advertising opportunities through paid search and other traditional advertising outlets, focusing on known audiences via email marketing is an effective way to get in front of customers. Email marketing ROI (return on investment) also easily competes with that of paid channels while requiring less management. Now that you understand the benefits of email marketing, how can you as a cannabis business owner or manager get the most out of your email marketing strategies? These six guidelines serve as a solid framework to base your campaigns and guide you towards success. Email marketing works best when it supports whatever is crucial for your business’s success. If events drive leads for the sales team, send emails that tantalize people to sign up for those events. If you are selling specific products, send messages that make them fly off the shelf by highlighting their appeal, their availability, or what it is about them that makes them special and desirable for that audience. Don’t overwhelm your audience with too much content and too much variety. Ideally, you should tailor the content to the audience and cut out some of the noise for them. If you have a list of people who are more interested in new strains than cannabis legalization, try to stick to their topic when you email them. Whatever you choose to feature, focus on making it a value-add for your customers. Make them feel special for being a part of your email list and reward them with things they would not otherwise get, such as early beta access for new features, a preview of your coming selection, a chance to vote on what you offer next, teasers for big upcoming events, industry research, and more. Be timely and make them a part of your world! There are some pretty fancy tools out there for email marketing, but keep in mind that shopping for the right tool is all about you. Would you really buy a Ferrari if you just needed to go to the corner store once a week? You’re also not going to license a top-of-the-line email marketing service like Marketo, ExactTarget, or Eloqua if you’re just trying to send a newsletter once a month. The right mantra for anyone looking for an email service provider is “buy to scale.” Don’t get dazzled by the bells and whistles unless you will really use them. Instead, find a tool that you will be comfortable using. You may even want to have your campaign manager choose the tool based on their comfort zone to ensure your team will actually be using the features the tool has to offer. That said, it takes some work to properly integrate an email marketing tool, so don’t commit to one that you know won’t scale to your marketing efforts in the near future. If you know you’ll soon need more robust capabilities six months from now, you might want to splurge on more dynamic software now to save the hassle of switching from one provider to the next down the road. If you’re feeling overwhelmed by your options and just want to start small and test the waters a bit, a lot of people really like MailChimp. It’s a tool that you can grow fairly easily with and it offers at least minimal A/B testing capability (a must-have). MailChimp also has a lot of push-button integration with other tools and an easy builder interface that can make your life easier, helping you ramp up your sends quickly. Plus, the chimp salutes you every time you send a campaign—and who doesn’t love that? Naturally, you’re going to frequently collect and update email addresses for your distribution list. Be bold with pop-ups encouraging visitors to sign up for your newsletters and email updates, or capture new subscribers at the end of your blog posts or articles by embedding sign up buttons to maximize your chances of collecting email addresses. Next you’ll want to determine an appropriate cadence for sending emails to your list of subscribers. Start by sending a welcome message when people sign up for your list to let them know what they can expect to hear from you about and determine if their email address is good. From there, you’ll want to email your list at least monthly with relevant news and content designed to appeal to your audience. Possibly the worst thing you can do for deliverability is ignore your newsletter subscribers for a few months and then email them out of the blue. Email addresses sometimes get stale and sending email to addresses that don’t exist is the best way to tell the spam filters that your email marketing strategy is of the two-phased “spray and pray” variety. Create a cadence and be consistent in sticking to your schedule. To get the most benefit out of your email marketing strategies, build multiple distribution lists. Identify portions of your audience who will enjoy one type of content vs. another and be diligent about trying to serve them separately. Your list is the most important aspect of your email—you can’t just email everyone all the time. You have to be relevant, and the way to do that is to tailor the message to the audience. Yes, it’s more work, but it’s also rewarding work that will yield big benefits for your business. Subject lines are the only thing about your email that most will have a chance to see, so be engaging by asking a question, being direct and clear, or teasing them with a mysterious (yet relevant) snippet of an idea. Use the right keywords, avoid spam words, and think really hard about what will resonate with your audience—have you taken a look at your website’s most commonly searched terms lately? Shorter subject lines have a long history of outperforming long ones, but you need still to test this because in some industries and with some segments it is the exact opposite. To that point, research your best practices by industry—they really do vary. Nothing undermines your hard work like numerous typos and broken links. Make sure your content is spelled correctly, is cleanly formatted, and that any links you include in your email are functioning properly. If a recipient opens an email and sees lots of spelling and grammatical errors, broken links, and images that aren’t loading properly, he or she may question the professionalism of your business. Lots of websites, email service providers, and marketing experts claim to know how long your subject line should be, how much of your email should contain imagery, whether or not you should use the words “cannabis” vs. “marijuana,” or whether or not the perfect time to send an email is noon, 9 AM, or via personalized send times. The fact of the matter is no one can know for your business, your industry, and your audience like you can. What works for one brand does not work for another, so you need to have an email marketing tool that works great for A/B testing (or even multivariate A/B/C/D/E testing, where you compare different versions of the same campaign against one another to see which performed the best). Cold, hard numbers are the foundation of any great email marketing program—yes, you’ll need some solid creative, but not as much as you might think. You can do a lot with text styling and clean images combined with well-crafted messaging in email marketing—let the numbers lead the way from there. It’s important to track your unsubscribes and never email them again—don’t just delete their email address because you could accidentally reintroduce them to your list somehow. There are some pretty steep fines if you do that (as well as some public humiliation if your angry former subscribers take to social media to complain), so it may behoove you to read up on the FCC’s CAN-SPAM laws and any international country laws if you have international marketing campaigns. Also, there is a special place in the afterlife for those who sell other people’s email addresses for money. The golden rule really applies here. Do you want to sign up for a nice-looking newsletter and suddenly start getting emails from some random company? We’re guessing you don’t. Be cool—don’t sell or license use of your email list. If you’re less of a toe-dipper and more of a fire-hose drinker, consider tools that do more than just email marketing. If you can find a system that integrates with your website, has the ability to track your list additions automatically, or allows you to target people who visit certain pages on your site or in your mobile app, that’s the dream! Bottom line: you want an email service provider that has the features you need. If you’re a B2B-focused company, you don’t need a ton of ecommerce capabilities but you probably do need a customer relationship management (or CRM) integration (such as Salesforce). If you’re ecommerce-focused with a massive consumer database, you probably don’t want to pay for an email service provider based on the size of your contacts database, right? Now do some research (but don’t get paralyzed by it), buy to scale, and get started! Last but not least, sign up for Leafly’s email newsletter for more marketing tips and be sure to tell us below when you launch your new email program—we’d love to subscribe to yours! Don’t stop now! Leafly can help your business achieve new heights and attract more customers. Find out how by learning about our marijuana advertising services! Has anyone else noticed MailChimp and Constant Contact have increased their censorship of Cannabis-related words and phrases? I wish this article actually address some of the unique email issues we face as Cannapreneurs. The article advises industry specific advice (like subject line length) but fails to deliver same. Yes, I’ve noticed. But to be fair this article is from 2015. Have you found another Cannapreneur-friendly email service?